Visionstream is a major Australian telecommunications network and infrastructure services company providing a range of design, build, operate and maintain, and disposal services across fixed and wireless networks. Our customers include a range of private companies and State and Commonwealth Government within the resources, road and rail infrastructure, and major telecommunications carrier sectors. Visionstream has successfully delivered some of Australia’s largest, complex and critical communications infrastructure projects. We are an established Australian company employing approximately 6,000 staff and subcontractors across Australia and New Zealand. 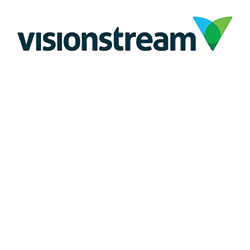 Visionstream partners with industry to design, develop and deliver innovative and tailored communications and infrastructure solutions essential to critical system and ground station connectivity and operations. Visionstream partners with industry and customers to develop innovative and tailored end-to-end solutions that best meet complex and critical telecommunications and infrastructure needs. Visionstream designs, integrates, constructs, operates and maintains essential communications networks and infrastructure that ensures connectivity to critical operations across metropolitan, regional and remote locations. We also provide 24/7 network operations centre services that successfully meet customer and community requirements.